Along with the roadster version the MGB GT became the a Mk II in 1967 and would remain in production as the Mk II until the early 1980's. At first the main differences were mainly cosmetic trim details. These alterations included Rostyle wheels, a new black grille ( the first of many front end styling changes ) and a revised interior with more crash padding. 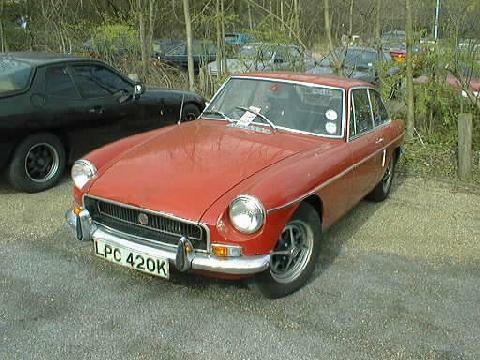 The MGB GT remained in production throughout the seventies almost unchanged, however in 1974 the range received a drastic new look that was intended to meet ever changing Federal safety standards. 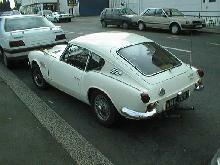 The new facelift consisted of heavy front a rear bumpers that were moulded black rubber and a higher ride height. 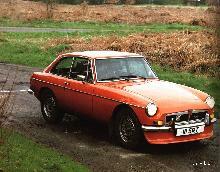 Many MGB fans considered this facelift to be unattractive although attitudes have mellowed over the years! 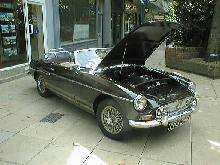 The MGB range was discontinued in 1980 by British Leyland to make way for the new TR7. 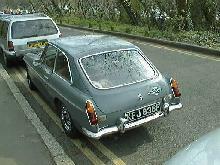 Today the MGB GT remains as popular as ever with an endless range of specialists and excellent club support to cater for enthusiasts.